A traditional looking alternative door that utilizes the benefits of modern materials. Using PVCu and intuative manufacturing techniques, we can provide an authentic replica to traditional wooden doors at a fraction of the cost. Mechanically jointed midrails and mullions match traditional joining techniques, whilst innovation in the industry gives us the opportunity to use a slam lock, which removes the need for a modern style lever to operate the locking system. 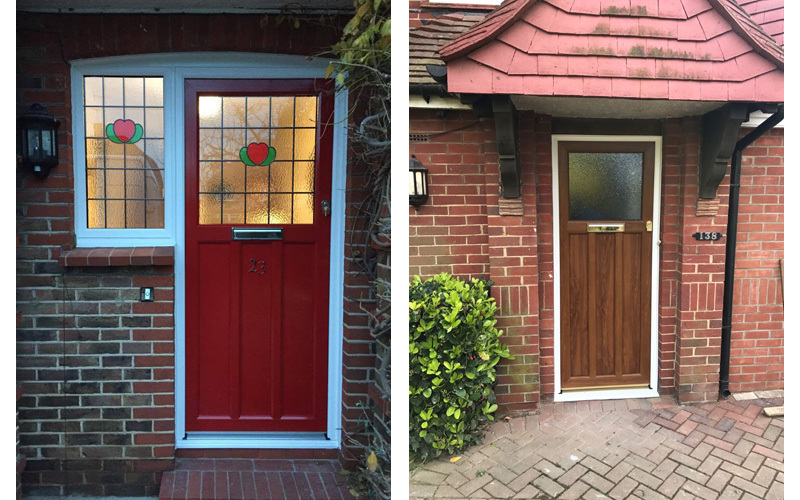 Once again , a range of colours, door accessories and glass options allow you to design your own personal and bespoke door.